3rd March is observed as the 'International Ear and Hearing Care Day'. Hearing disability is the most prevalent hearing disability worldwide. Approximately 278 million people suffer from some kind of hearing impairment across the globe. This is about 4 percent of the world population. The purpose of this day is to spread awareness through events and activities to better and promote health care systems, hearing loss treatment and latest hearing aids. Lack of oxygen at birth can also lead to hearing loss. Yes, there is a viable explanation behind why 3rd March was chosen to commemorate International Ear and Hearing Care Day. This day was chosen, because two 3s in the date represent two ears. The First International Conference on Prevention and Rehabilitation of Hearing Impairment was unitedly hosted in 2007, in Beijing by WHO, China Rehabilitation Research Center for Deaf Children (CRRCDC) and China Disabled Personsâ€™ Federation (CDPF) . Healthy Hearing, Happy Life - Hearing Health Care for Ageing People. 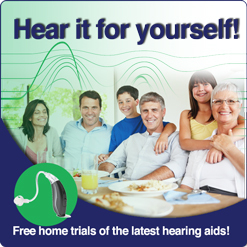 Click on the link and avail and a hefty discount on hearing aids.